But the real point of interest is the 'cold storage wallet' for your crypto. 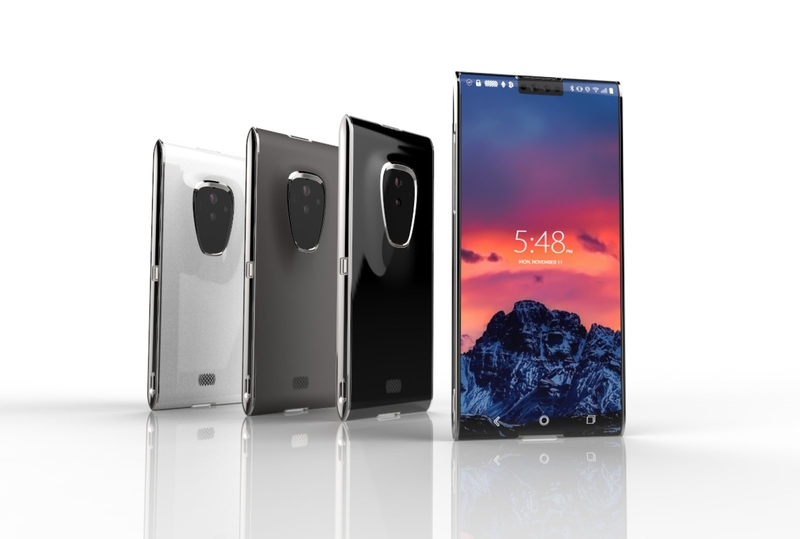 Late last year, Sirin Labs launched a crowd-sale for what it is calling the "world's first blockchain smartphone." The Finney, named after the late Bitcoin developer Hal Finney, is due to arrive at some point this year. And when it does, it's likely to be packing the sort of spec list that you would expect from a flagship smartphone. According to data supplied to Engadget, the Finney will pack a Snapdragon 845 paired with 6GB RAM and 128GB storage. On the imaging front, the phone will pack a 12-megapixel, f/1.8 lens with laser autofocus, while up front you'll find an 8-megapixel, f/2.2 snapper with an 85-degree angle. Nestled beneath that is the fingerprint sensor, while the 6-inch, 18:9 display has a pixel density of 402PPI. Fighting for space beside a 3,000mAh battery are the usual coterie of GSM and LTE radios, as well as 802.11 a/b/g/n/ac 2x2 MIMO WiFi. Plus, NFC A and B, Bluetooth 5.0 and what the company is calling an "ultra-secure" fingerprint sensor. Of course, the key matter of interest to its intended market is the "embedded cold storage wallet," which will hold all of your various crypto. Sources indicate that the wallet is entirely disconnected from the rest of the phone when not in use, and is only activated when you push a specific button. This hardware enclave is "tamper-resistant," and while there are no details on the specific coins it'll guard, it'll need to look after plenty of 'em if the Finney is to be a success. Sirin has, of course, been here before, with its Solarin handset that positioned itself as a $14,000, ultra-secure Android phone. The handset had a physical switch on the back that turned it from a full-featured Android flagship to a locked-down, calls-and-text-only device. It was thought that, backed by Israeli security contractors, the handset would offer something different for CEOs and celebrities. Unfortunately, sales of the handset weren't enough to stop the company cutting a third of its employees. And, despite the claims, the Finney is not the only game in town when it comes to crypto-friendly handsets that promise to protect your digital coinage. BitVault purports to offer encrypted messaging, via the Blockchain, and up to five Bitcoin wallets to keep your assets safe and secure. Then there is Zippie, which is talking up its Blacture device, which offers users its own token as payment for using the handset. We can't vouch for the utility of either phone, but it's likely that they will all live and die on how prepared people are to burn their existing handsets on the alter of cryptocurrencies. Update: The company has now published its spec-list, confirming our story.